If Australia is “Down Under” then Perth is “Way Over”. Perth comprises about 1.7 million people. That is the roughly the size of Canada’s capital Ottawa and the USA’s capital Washington combined. Perth is often referred to as the most isolated major city on earth. Don’t make this stop you from visiting. A metropolis that seemingly sprang out of the lonely west coast of Australia has to have a story behind.. 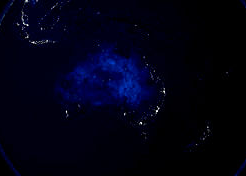 Known as the “City of Light” for the uncanny ability to stick out in the vast expanse of Western Australia. When a space shuttle passed overhead in 1962, the residents of Perth turned their lights so the city could be seen from orbit. The name is fitting for it’s distinction as the sunniest city in Australia. You made it Perth. What to do? King’s Park is the largest inner-city park in the world. Bigger than Central Park. Galleries, museums and zoos galore. Cable Beach is one of the most well known beaches in the world and not too far away. Camel riding over water on a mile wide beach at sunset? That’s one activity you need to add (and proceed to cross off) your bucket list. You’d be happy to know that Perth is far less touristy than Sydney and Melbourne. So it’s got beaches. It’s got sun. It’s close to Asia. It’s one of the Most Livable Cities in the World (like every Australia city seems to be). What about the universities? 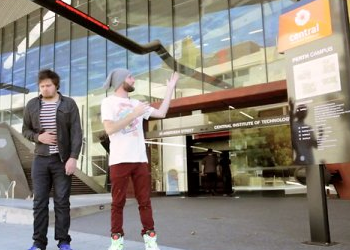 With four public universities, Perth was rated the 25th best student city in the world. The 73rd world ranked University of Western Australia has a globally renowned Life Science program. Curtin University, with their ranked engineering/IT programs, is also there along with Murdoch University and Edith Cowan University. Some Hollywood stars have even called Edith Cowan University’s Western Australian Academy of Performing Arts their alma mater. This includes Hugh Jackman and Heath Ledger. Speaking of filmography, the Central Institute of Technology vocational school managed to create this snazzy recruitment video that has gone viral. I won’t scare you and embed it here but you can see for yourself how “creative” those Aussies can be. A primary motivator of studying in Australia is the notion of sticking out. What sticks out more than studying in the city that sticks out?